BABY STEPS: Village girls in class 10 take computer lessons with Bouchard before school hours. 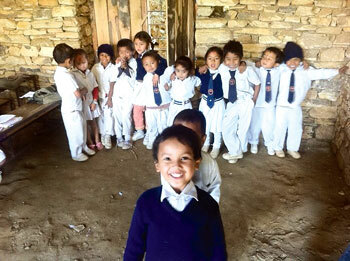 For years Deb Gurung saw children from his village in Gaunsahar of Lamjung district walk for hours every day to neighbouring villages or migrate to Pokhara and Kathmandu for better schooling. 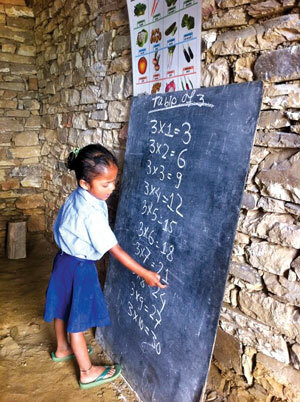 Gurung, a teacher at a local government school, was determined to change this. He started a private school called Diamond Hill Academy in 2008 to provide quality English-medium education at one-third the cost of city schools. While many parents were happy that they wouldn't have to send their children away any longer, making the school self-sustaining was a huge challenge for Gurung and his team. During the first few years, there was a shortage of teachers, textbooks, and teaching materials. The two classrooms, made of bamboo walls and a tin roof were makeshift. In an effort to get more teachers, the school agreed to have volunteers from abroad eager to help Nepal's rural education. When Erik Bouchard (see box), a successful American investment banker offered to volunteer as an English teacher, Principal Shamsher Thapa of Diamond Hill Academy was too embarrassed to send photos of the school. Students from LKG eagerly line up for a group photo. A girl from LKG practices her multiplication table on the blackboard. "He was worried that if I saw the state of the school, I would change my mind, and run away," Bouchard explains. When the American volunteer arrived, he noticed that despite the lack of resources, the children were thriving. Grade 2 students of Diamond Hill had better English skills than students in Grade 9 at government schools. As he became more involved with the school, the ex-banker put in money to build two new classrooms and a bathroom. 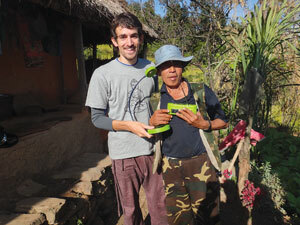 Bouchard then got his banker friends to donate five new laptops to the school. During school hours students get to use them and outside these times anyone from Gaunsahar has access to the computers. Students along with villagers are given free computer lessons before and after school which have helped locals build their self-confidence. 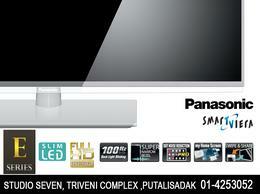 Diamond Hill now uses new technology to focus on cultivating a child-friendly learning environment. It has banned corporal punishment, and Thapa is now convinced that there are more effective ways to teach students a lesson than by beating. "If you hit a student, she might behave momentarily, but it doesn't stick with her in the long-run," he explains. Instead, students are not allowed to participate in activities they enjoy like games or are made to read and write in the office room. 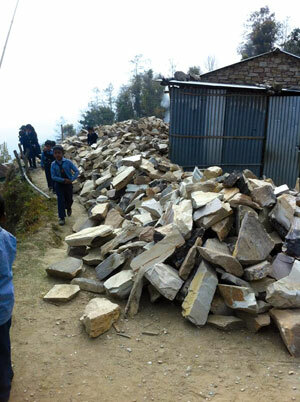 Students pass by piles of stones kept at the school premises for the construction of new classrooms and bathroom. The children show off the new pencils that they got from Bouchard. Although the education system in rural Nepal still has a long way to go, schools like Diamond Hill Academy are changing the rural landscape one student at a time by providing an enriching environment, good teachers, and modern infrastructure on par with city schools. Says Bouchard: "The children are very capable and smart, they just needed support. The first few weeks I spent with them, I saw that even a box of pencils made a big difference to their learning. It's amazing how much you can do with so little." SUNNY-SIDE UP:Erik Bouchard donates a solar powered lamp and radio to Gyanu Bahadur of Gaunsahar since he has no electricity in his home. By the time his friends finished college, Erik Bouchard was already earning a six figure salary and on his way to the top of the corporate ladder. However, the higher he progressed, the less satisfied he was from his career. "Most people would have been thrilled to have my life, but I didn't feel I was contributing to anything, but my bank account," he says. In desperate need of change, Bouchard took a short break from his hectic job in Singapore and moved to Nepal. He travelled to Gaunsahar of Lamjung district and immediately fell in love with the simple way of life and the beautiful landscape of the Nepal Himalaya. 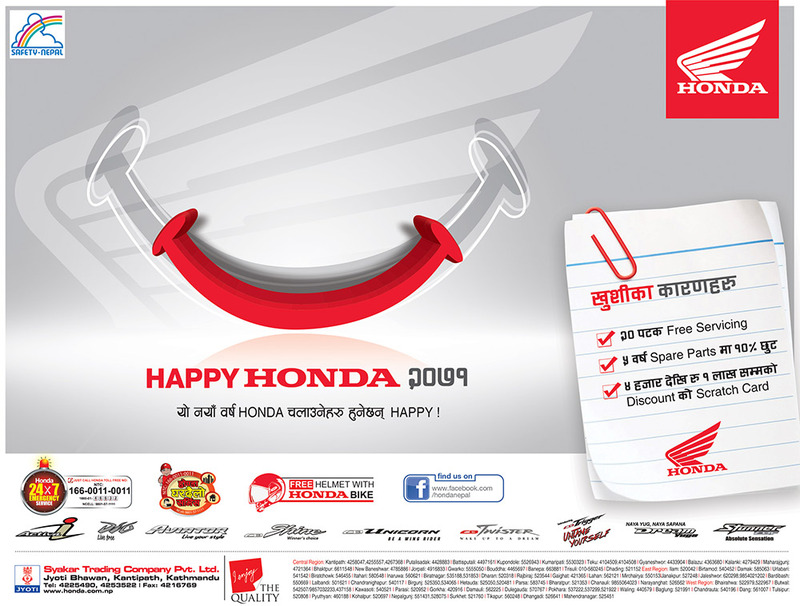 However, while in Gaunsahar he noticed that many NGOs and charities which were set up to help the rural poor were actually far out of reach of people who needed help the most. Children were the worst hit and even their basic needs were not being met. "Children in remote areas were missing out and I wanted to help them and make sure they could make their way to college," he recalls. What started off as a holiday soon became the catalyst for an entirely new profession. Bouchard started the See Change Foundation, which focuses on meeting the health and education needs of children in rural Nepal. The charity will launch online early next year, but the ex-banker has already been working hard to make a positive difference in the lives of underprivileged children. In the 13 months since his arrival, he has worked tirelessly to provide emergency health care to children, built two new school rooms and bathroom for Diamond Hill Academy (see main article), provided scholarships and found sponsors for children of poor families, and installed a sanitation system at a local orphanage in Besisahar. Choosing all his projects through word of mouth, Bouchard wants to make as big an impact on the lives of Nepali children as they have made on his. "I haven't made a dollar in a year, but I've never been happier," says Bouchard, breaking into a wide grin, "I feel immense satisfaction knowing I'm making a difference and the work I am doing can make a lasting impact." You are an amazing young man and human being. You are giving back in every way everyday. I remember when you were her in Northwest Indiana and working on computers. You have traveled a long way since then and given of yourself tirelessly and inselfishly. I admire you greatly and consider myself fortunate to know you as a friend. I know that you will heve a powerful effect on all that you touch.